If you are looking for a sedan with attitude, power, and luxury, then you should be considering models like the Maxima and the Avalon, but which one is better? We will try to answer that question with our 2018 Nissan Maxima vs 2018 Toyota Avalon comparison. Before we get to the numbers though, it’s worth considering the style. But for the big open-mouthed grille, the Avalon is devoid of any real style. The Maxima, on the other hand, has unique lines that start with its grille and flow all the way to the rear. In the comparison below, you will find that the Maxima easily comes out on top, but you can keep reading to learn all about how the Maxima bests the Avalon. 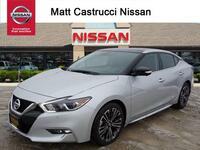 Otherwise, if you would like to see an inventory right here in Dayton, then check out what Matt Castrucci Nissan has in store for you by clicking the link below. Which luxury sedan is better: Maxima or Avalon? Both the Maxima and the Avalon are priced similarly, though the Maxima does have a price tag a few hundred dollars less. Even as you move up in trim level, they stay pretty comparable, with the Maxima typically coming in right under the Avalon. We wanted to discuss the price, no matter how similar, to prove a point. Though they are nearly identical in price, the Maxima will ultimately win because of what it can provide at that slightly lower price. Take the engine for example. Under the hood, the Maxima packs a standard V6 that outputs 300 horsepower and 261 pound-feet of torque, and all of that is funneled through a wonderfully smooth continuously variable transmission or CVT. The Avalon still gets a V6 but at only 268 horsepower and 248 pound-feet of torque, it’s not nearly as powerful. What’s more, because the Avalon relies on a traditional automatic, its fuel economy suffers. In fact, even though the Maxima has considerably more power, it gets the same fuel efficiency as the Avalon at 21-city mpg and 30-highway mpg. 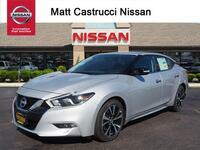 When it comes to features, the Maxima wins again. Not only will you find all the available luxury that you need including leather, infotainment, and more, but you also get remote start and navigation standard. The former doesn’t come standard at any Avalon trim level and the latter requires the highest Avalon trim levels before you can take advantage of it. 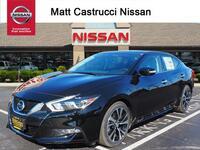 Interested in a 2018 Nissan Maxima?